Minority Development Enterprise Week is observed to recognize and celebrate the achievements and contributions of small businesses. 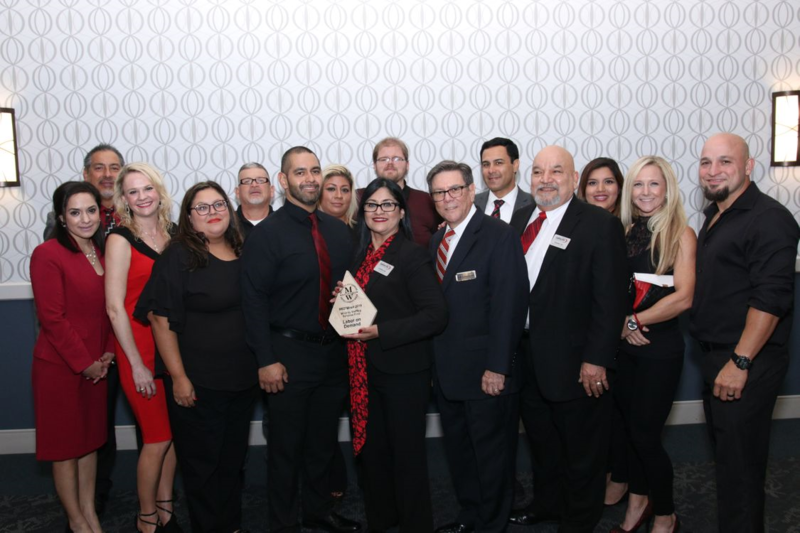 Labor On Demand (LOD) was awarded the 2018 Minority Staffing Services Firm. 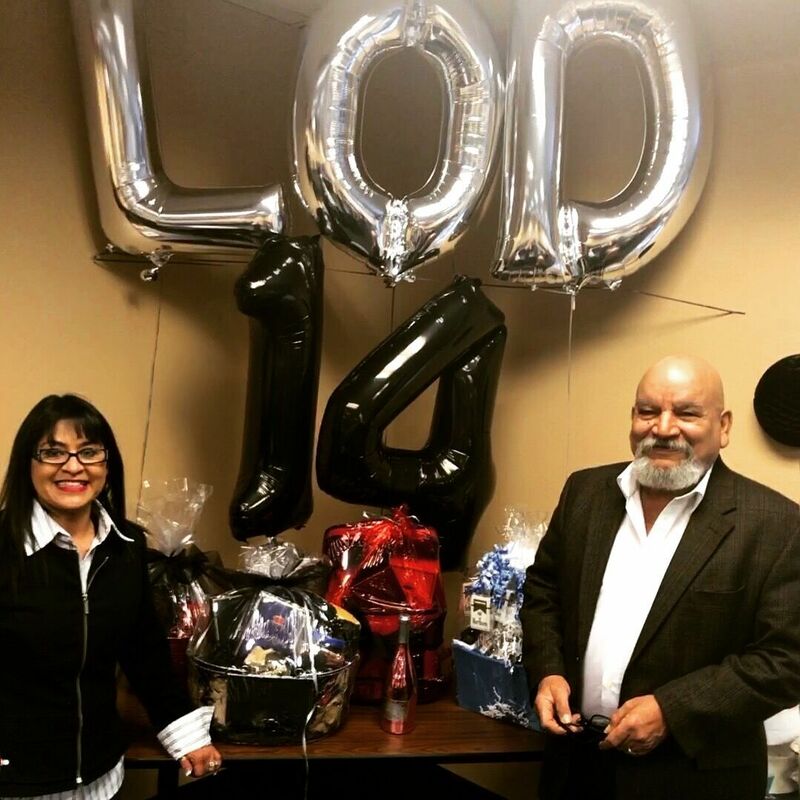 Fifteen years ago, LOD was established with the intent to create jobs for the economically disadvantaged community. 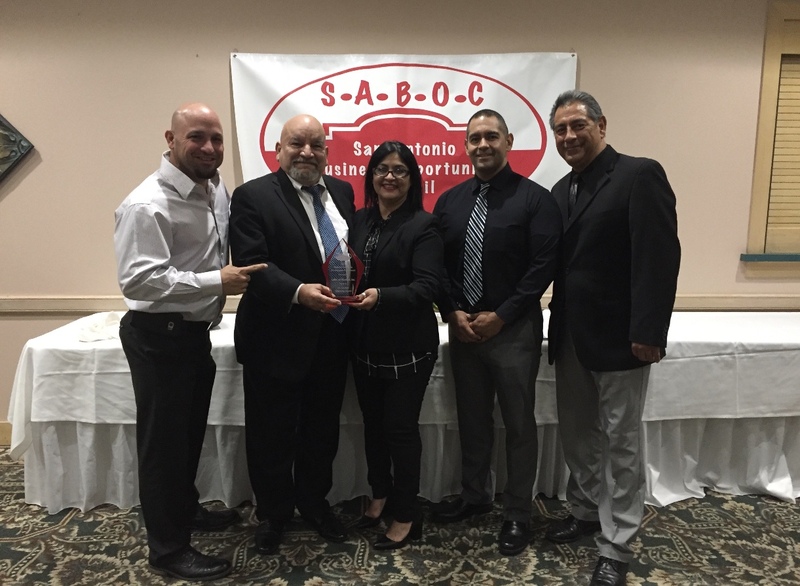 It is an honor to be recognized for the hard work and achievements our company has instilled into the heart of San Antonio. Our city has a unique history with a robust future combining the needs of a diverse economy. LOD has been able to evolve in tandem with our growing city. Originally, we focused on manufacturing and production staffing. LOD recognized that we can provide jobs within short time constraints. The recession provided our company with avenues to become more than just a labor company with the capacity to provide professional employment opportunities. This year we created LOD Resource Group, a certified DBA, under the umbrella of LOD. We wanted the community to view our agency with the capability to foster the multifaceted career development for the new workforce. LOD’s ability to recognize our growing community needs has made our agency a strong force in our industry. Our team is dedicated to treating our clients and customers just like family. These relationships provide growth and development alongside our business partners. LOD provides not only jobs but careers for the right person at the right time. When you are a part of LOD, we are committed to provide quality staffing solutions when you demand it. The avenues that our city provides to entrepreneurs, like myself, makes me proud to foster San Antonio’s development. Lastly, I must thank my LOD team, especially my family, who have supported my dream to help people. I am honored for this award and I am excited to see where the future takes LOD. Lucinda Leal, President/CEO Labor On Demand, Inc. 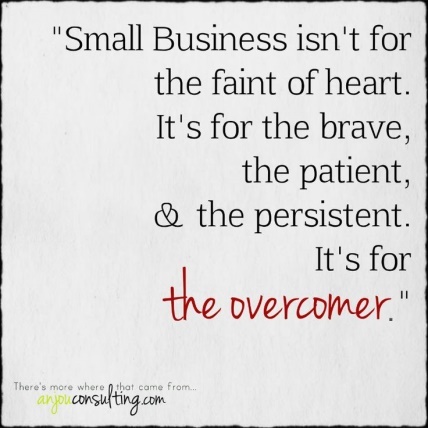 It is officially National Small Business Week! Last week, Labor On Demand had the honor to visit two Associate Administrators. 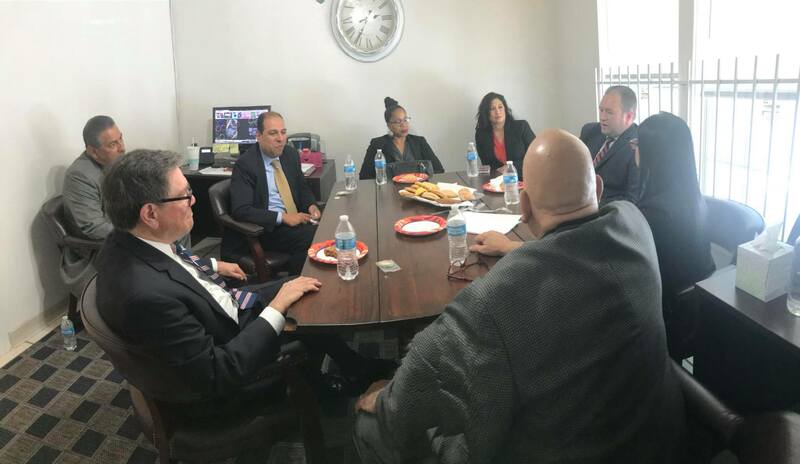 We got to meet Jason Simmons, Associate Administrator, Office Field Operations; and Allen Gutierrez, Associate Administrator, Office of Entrepreneurial Development. As the 2017 San Antonio District Woman Owned Business Award Winner, our local SBA representative felt our office would make an excellent visit. I am blessed and thankful for all the opportunities and guidance I have received through the SBA, UTSA PTAC, Hispanic Chamber of Commerce, and LiftFund. Faith: The owners of LOD have a strong faith in Christ. They are highly involved in their church community. They give praise and thanks to God for all the blessings that they have received. Spirituality and beliefs can be different to every person. It can be God, Christ, Jesus, Karma, Higher Power, or a belief in something that is greater than yourself that provides a positive outcome or source of energy. It is what guides the individual to greatness that is the true source of strength. Seeing that there is a power greater than yourself is what makes a lasting impact and a legacy for those around you. Family: LOD treats everyone that they meet just like family. Though there are a lot of internal staff that are related, that does not mean they look at anyone they meet any differently. Lucinda greets everyone with a hug and a kiss on the cheek. She always goes out of her way to make people feel special, and she is gracious with an open heart. She cries when she sees someone she knows is hurting and will go out of her way to help anyone that is in need. She loves and shows great empathy to everyone around her. From an early age, her family had to take care of each other, and I think this is instilled onto our team and the business heritage at LOD. Integrity: Say what you mean and mean what you say. Lucinda will uphold her promises. She still honors that through conversations, handshakes, or a hug. This is an occurrence that has been disseminated in our current day office atmosphere. Being the person that I am, I have become highly protective over Lucinda’s words and promises to clients. I get hurt when I feel like she gets taken advantage of. Do not get me wrong. She is petite, but her fierceness and determination are nothing you want to get in the way of. Once she knows you have taken advantage of her generosity, she comes after you with her wrath (though still genuine), and she will tell you how she feels. She has a true Christian soul, because even though angry, she never lashes out in hate; she is comfortable confronting an oath that has been broken. Lucinda treats everyone this way. Lucinda’s word and work ethic are admired and respected by everyone in the company. Service: Lucinda give’s her heart out on a regular basis. She has so much modesty that it is hard for her to admit the generosity that she has given to non-profits and charity. She feels like she does not want to brag, but I tell her that people need to know how giving her heart is. So, I will do the bragging for her. Not that I need to, but because she is such an awesome individual. I just feel people need to know how truly incredible she is. Lucinda is one of the most caring, giving and loving individuals I have ever met. She treats me like family, this has given me the instincts to protect and support her with my knowledge and experience. She is amazing, and everything I have ever prayed and asked for as an employee. I am blessed to work, be guided, and be considered family by Lucinda. 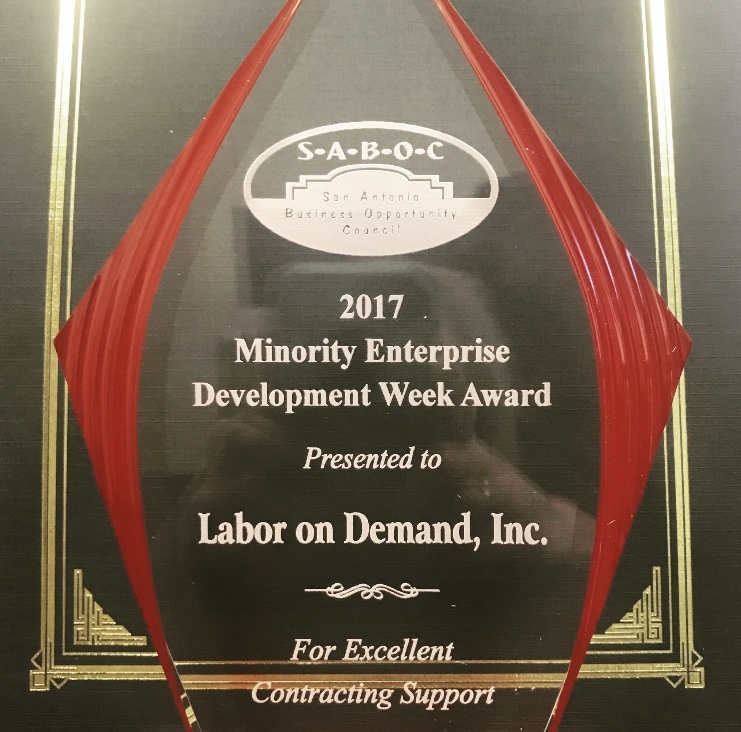 San Antonio Business Opportunity Council (SABOC) selected Labor On Demand, Inc. to be honored at its reception during the observance of National Minority Enterprise Development Week (MED Week). Since 1983, the U.S. President has proclaimed a national MED Week observance to recognize the outstanding achievements of minority business enterprises and to honor those corporations and financial institutions that support minority business development. MED Week celebrates the accomplishments of outstanding minority entrepreneurs and leaders and provides a platform for small and minority-owned businesses to learn about business growth strategies, receive premier training and networking opportunities. SABOC promotes the utilization of Small Business (SB), Small Disadvantaged Business (SDB), Veteran Owned Small Business (VOSB), Service-Disabled Veteran Owned Small Business (SDVOSB), Historically Underutilized Business Zone (HubZone) and Woman-Owned Small Business (WOSB) concerns throughout San Antonio and South Texas. 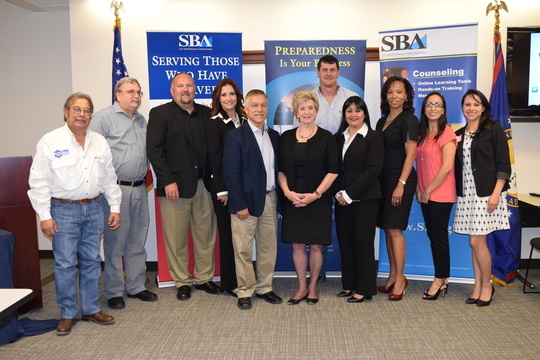 SABOC is composed of representatives from federal agencies, U.S. Small Business Administration, Bexar County, City of San Antonio, and University of Texas at San Antonio. Labor On Demand, Inc. is honored to be selected during the 2017 MED Week. Thank you all for your continued support and guidance in our efforts to gain employment opportunities to San Antonio. Labor On Demand, Inc. got to participate in the SBA Ignite Tour. Linda McMahon, head of the U.S. Small Business Administration, was in San Antonio on October 18, 2017. Her nationwide round table focused on her listening to business owners. We were educated on the SBA’s services to gain capital, mentoring and federal contracting, as well as advocating small business owners on driving economic growth. My ability to support my family and the local community, I am honored to be considered an asset to San Antonio. Labor On Demand, Inc. will continue to making opportunities to work, fueling the state and nations economic development. 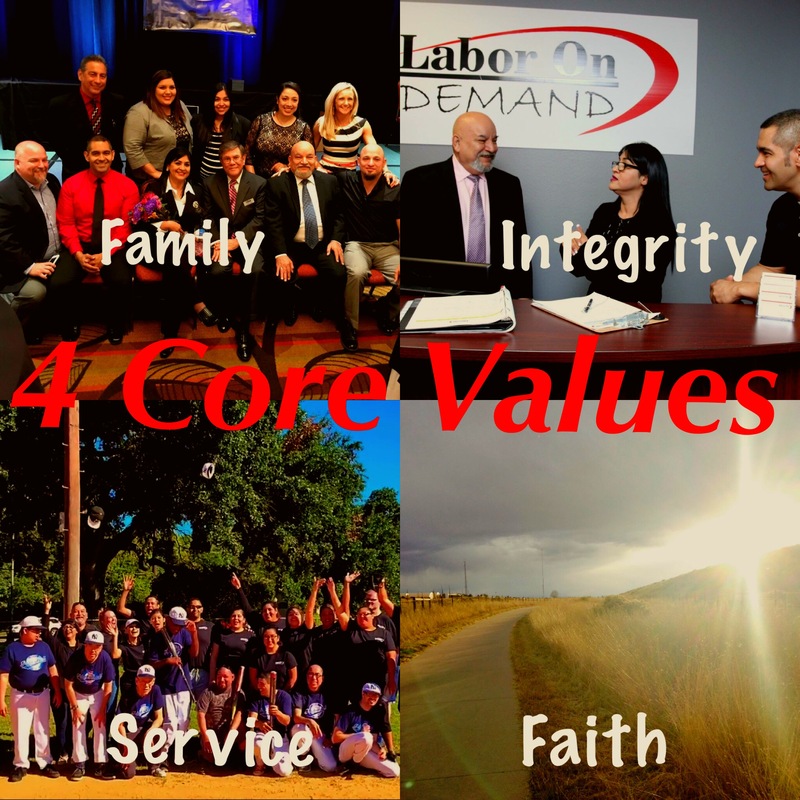 Today, Labor On Demand is celebrating our 14th anniversary. Rick Leal and I wanted to show our appreciation to our team for all of your hard work over the years. As owners we are excited for all the new changes and growth our company will be embracing this upcoming year. 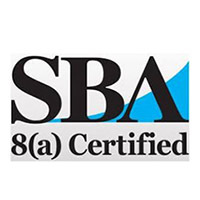 Last October, Labor On Demand was awarded the SBA 8(a) certification. We were approved within 6 weeks after submitting our application, which is amazing. Mr. Anthony Ruiz, SBA District Director, was a great mentor and assisted us in the approval of this program. This program helps disadvantaged businesses gain access to the Federal market. This program is allotted 9 years, so it will end in 2025. This is why we have created a team of individuals lead by Richard alongside Ricky and Jerry to go after these Federal opportunities. January of this year, PTAC announced to me that Labor On Demand will be featured on their 2016 Annual Report. This February, Chelby, Rick, and I attended the 2017 Business Opportunity Academy. We participated in 16 hours of technical assistance through hands-on workshops, seminars, and networking functions. 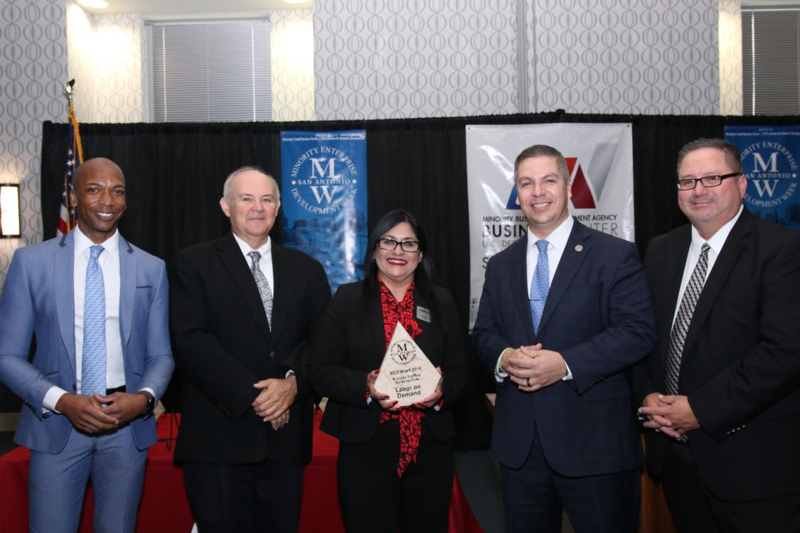 At our graduation ceremony last Tuesday, Nina Ramon, SBA Public Affairs Specialist, slipped and told me that I got awarded the SBA Business Woman of the Year. I could not be any more excited about the opportunities Labor On Demand will be anticipating for 2017. That being said, we all know there are a lot of changes happening and it is for the betterment of the company. We are establishing a strong foundation so that as we grow, Labor On Demand can sustain the capacity. We will be utilizing a new security system, website, and employee portal. The new Culebra office should be complete by the end of the year. As we push forward through this year, I cannot help but remember where Labor On Demand came from. On this day 14 years ago, I was in my tiny office running the show alongside one driver and a van. I did everything – dispatching, accounting, recruiting, sales, etc. I would begin my day at 4:30AM, sometimes earlier, and would end my day hopefully by 10:00PM. 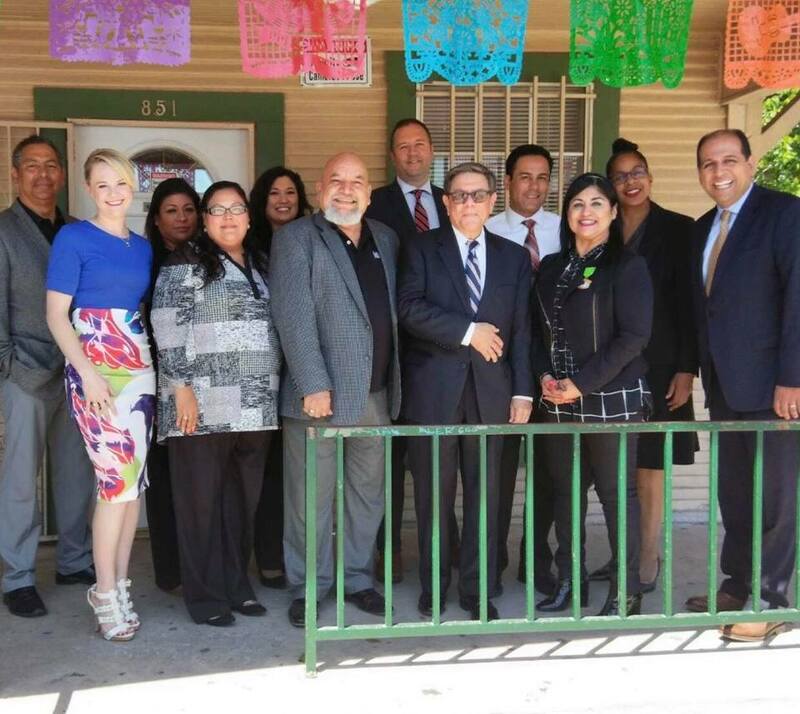 After the initial Culebra office relocated, Piedras was the 2nd location we opened. The Marbach location followed and then the On-Site at Fresh from Texas. Sadly, we decided to close the Marbach site, but Labor On Demand has a lot of exciting things to look forward to. Lucinda Martinez-Leal was selected to take part in an SBA Emerging Leaders program and immediately set her sights on gaining the 8(a) certification. Lucinda and her team began the tedious job of putting together the documentation for the 8(a). A special thanks to our local PTAC, and Anthony Ruiz, SBA District Director for Texas. Mr. Ruiz spent an evening with Lucinda and Richard Leal, plus five members of her staff reviewing the 8(a) documents. Mr. Ruiz gave us excellent feedback on our application. Because of their excellent guidance and a focused team effort, Labor On Demand has now been awarded this great opportunity. The SBA provides opportunities through various programs including the 8(a) business development program which is designed to provide business development assistance to companies owned and managed by socially and economically disadvantaged individuals. This certification gives Labor On Demand Inc. the opportunity to bid on contracts that are specifically set aside for SBA 8(a) program participants. Established in 2003, Labor On Demand Inc., is an SBA 8(a), TxDOT Disadvantaged Business, Economically Disadvantaged Woman-owned, State of Texas HUB and Minority certified firm, that provides government and private sector clients with Temporary Help, Temp to Hire, Pay-rolling and Human Resource Management Services. To find out more, please visit http://lodstaffing.com or contact us at (210) 201-0536. 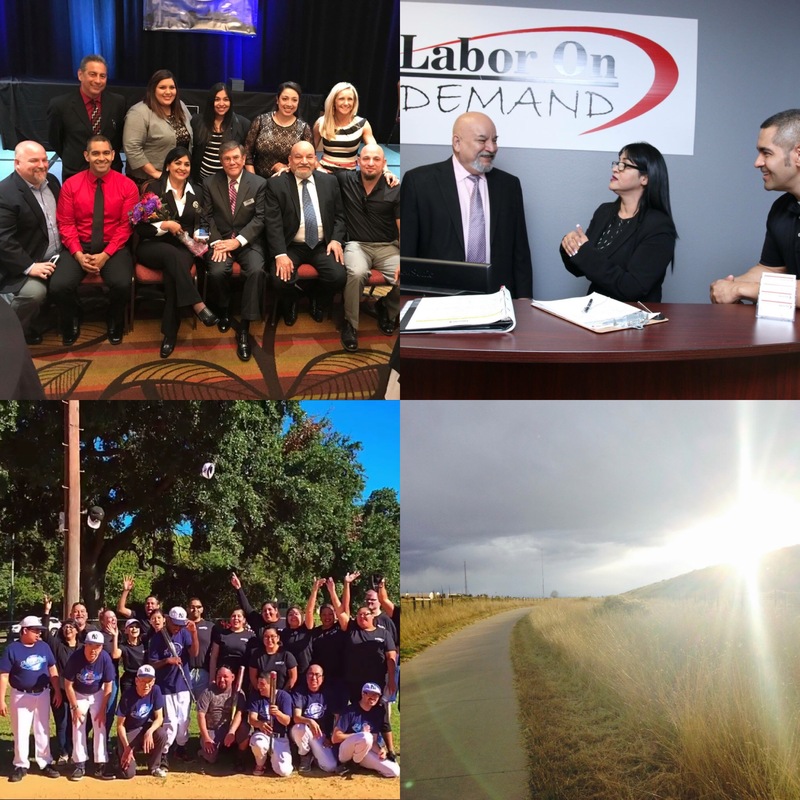 Founded in 2003 by Lucinda Martinez and Richard Leal, Labor On Demand, Inc. began as a quality, on-demand staffing solution for the labor intensive production and manufacturing industry. The idea was to provide a cost-effective temporary staffing solution anytime, anywhere, for organizations whose staffing demands are highly unpredictable and employee retention tends to be difficult. Through experience providing staffing solutions for a volatile industry, Labor On Demand has developed a temporary employment service that can provide a quality staffing solution, on demand, that will meet or exceed the needs and expectations of any organization. While the economy took a downturn in 2008, Labor On Demand experienced explosive growth. In 2013, nearly 2,500 people found temporary and full-time employment with Labor On Demand and our clients. Labor On Demand has opened three office locations in San Antonio, one that primarily focuses on professional and administrative staffing; two focusing on manufacturing, construction and various other positions.. We have expanded and diversified our target markets to include government, construction, production & manufacturing and temp-to-hire services. Our growth and expansion not only gives us a larger market base, it provides more opportunities for our temporary employees. Labor On Demand, Inc. staffs a variety of positions that includes: professional, administrative, medical, hospitality, skilled and unskilled solutions to corporations, small businesses, and government agencies. For over a decade, we have partnered with public and private sector organizations to develop innovative staffing solutions that have overcome the most difficult challenges. From initial evaluation and recommendations, to implementation and execution, Labor On Demand utilizes human resources, industry experience and expertise to implement quality, cost effective staffing solutions to ensure success. Labor On Demand will help get you where you want to be, when you want to be there—on your own terms. We help you every step of the way, with flexible, extensive staffing solutions created specifically for your situation.